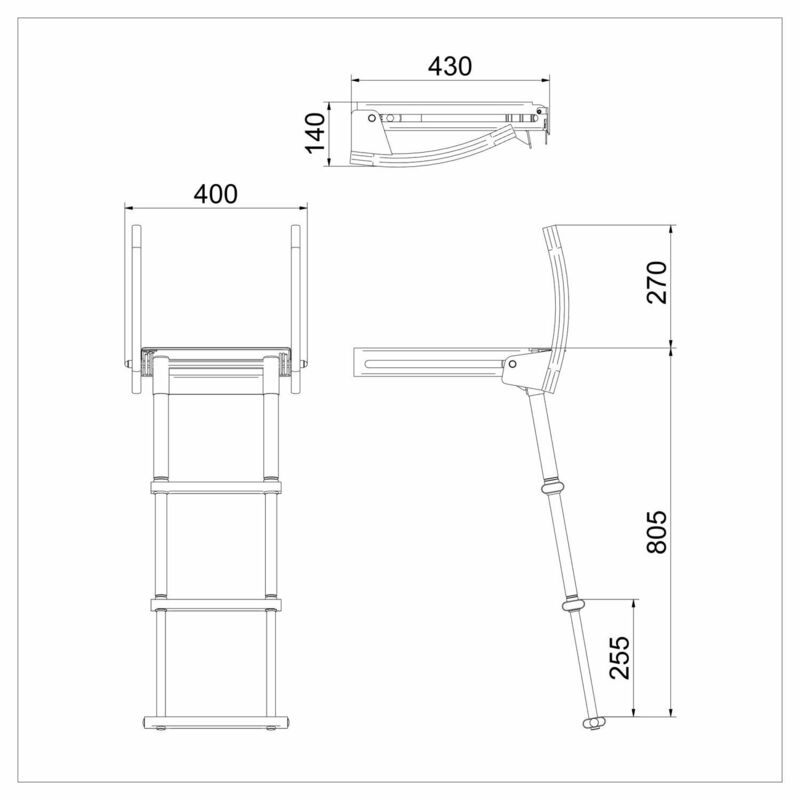 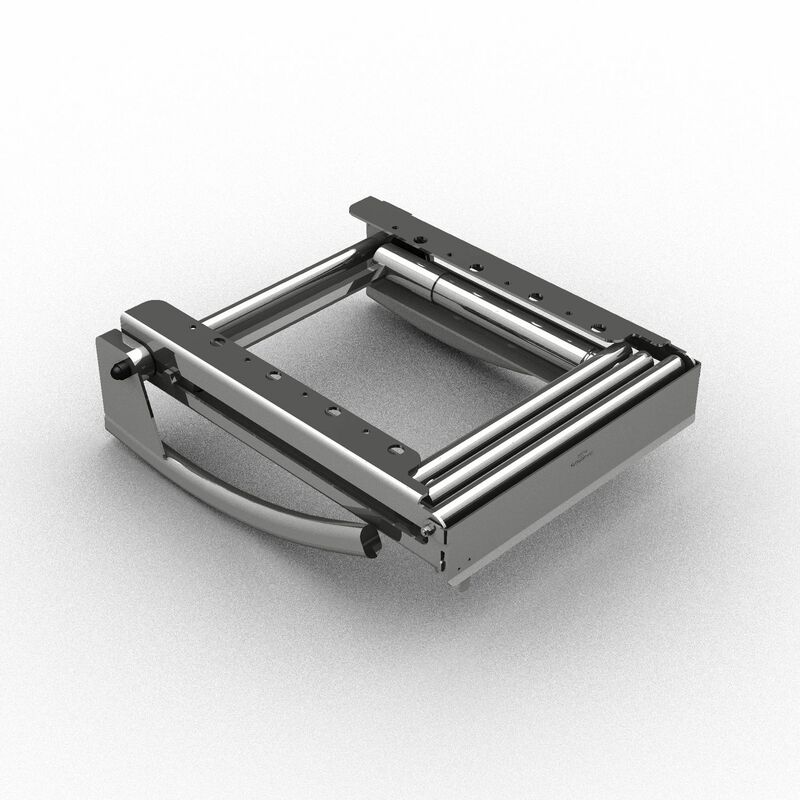 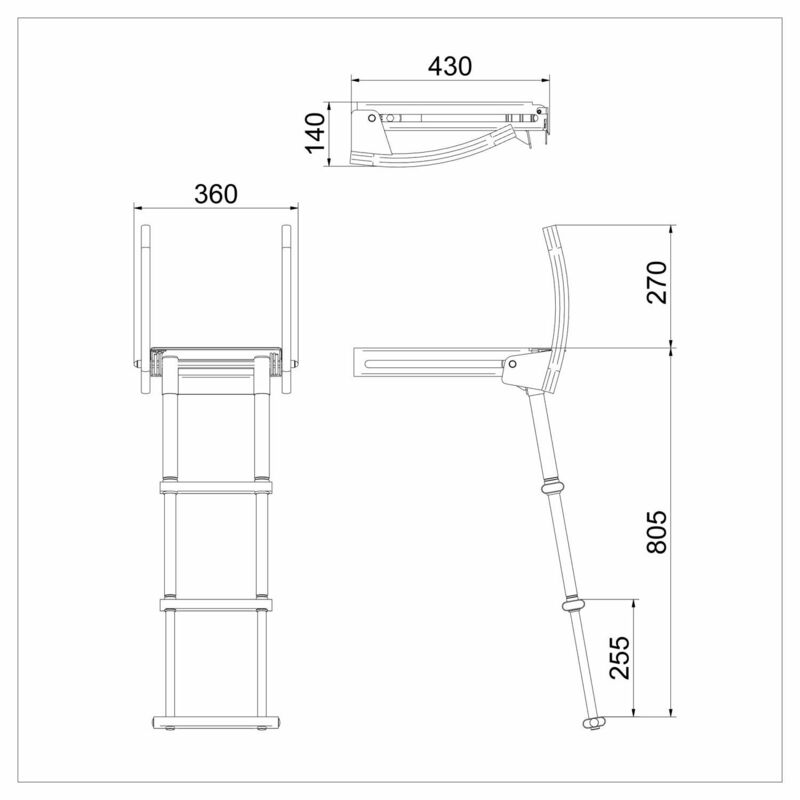 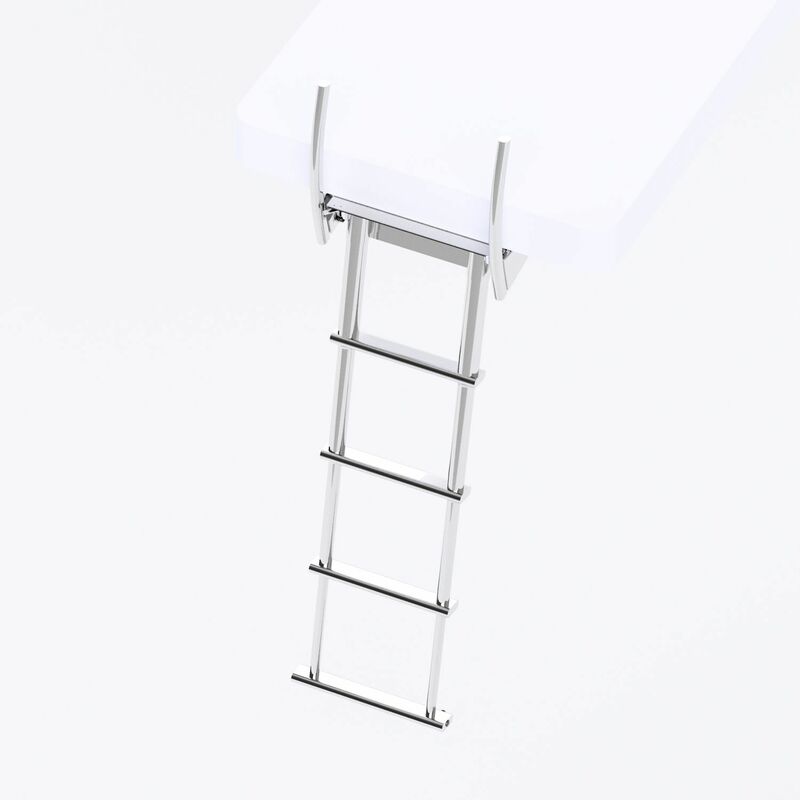 Under platform telescoping boat ladder made of mirror-polished AISI 316L stainless steel for boats and ribs with 3 or 4 steps and retractable handles. The handles move up and down automatically only by rotating the ladder and simplify boarding from the water and ladder recovery. 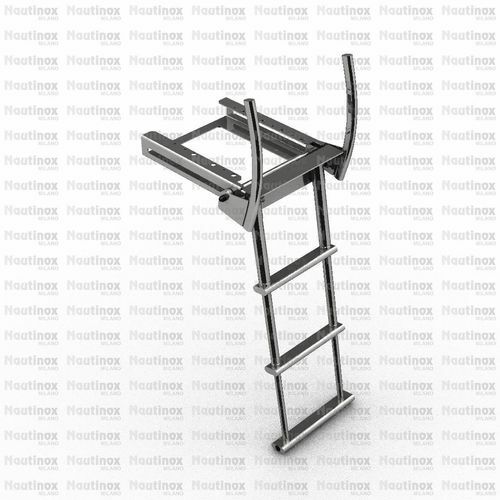 Steps in oval stainless steel have a water-draining hole, welded stainless steel lateral sealing caps and non-skid grips.